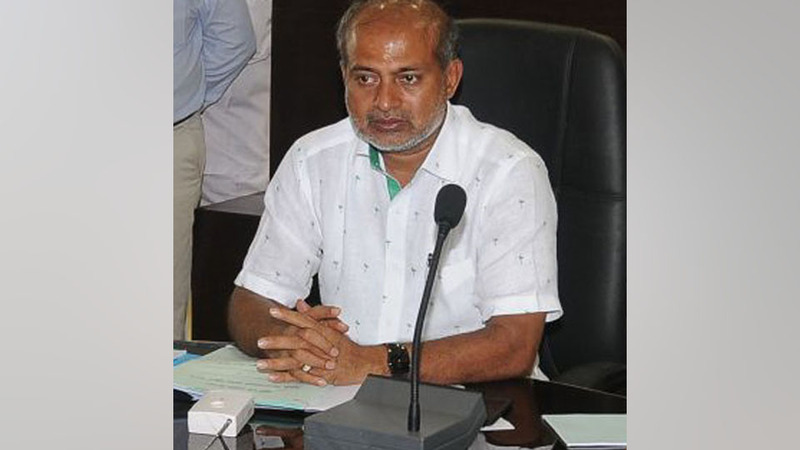 Mysuru: Amidst high drama at the Zilla Panchayat (ZP) meeting on Aug.6, the JD(S) and Congress, which are coalition partners in the State Government, reached an understanding in the ZP on sharing panels, with Tourism and Sericulture Minister S.R. Mahesh brokering a truce between warring Congress and JD(S) members. Even the BJP, which is the JD(S) partner in the ZP, too got to head one of the three panels. Soon as the meeting began in the morning, ZP President Nayeema Sulthana, who chaired the meeting, had to postpone the proceedings for an hour due to lack of quorum, as Congress and JD(S) members abstained from the meeting. But the meeting re-convened after an hour and Nayeema had to adjourn the meeting once again and finally the meeting began at 4.05 pm. The meeting began amidst chaos with JD(S) and Congress members arguing with each other, after the JD(S) decided to continue its alliance with the BJP in the ZP. Also, the JD(S) was not willing to give away the Social Justice Standing Committee to the Congress, which had eyed the important panel. At one point, JD(S) members Beerihundi Basavanna, Dinesh, S.R. Nandeesh and Amit Devarahatti entered into a verbal argument with Congress members D. Ravishankar, Latha Siddashetty, Srikrisha and Dr. Pushpa Amarnath. But on learning upon the imbroglio, Minister S.R. Mahesh visited the ZP and held meetings with JD(S) and Congress members. After hectic negotiations, S.R. Mahesh succeeded in bringing all confusions to an end by suggesting that all the three parties will get to head one panel each. As per the formula worked out by the Minister, JD(S) will get to head the Social Justice Standing Committee, while the Congress will head the Standing Committee on Education & Health and BJP, the Standing Committee on Agriculture & Industries.